AWT Wild Schools blog: The alevins are coming! 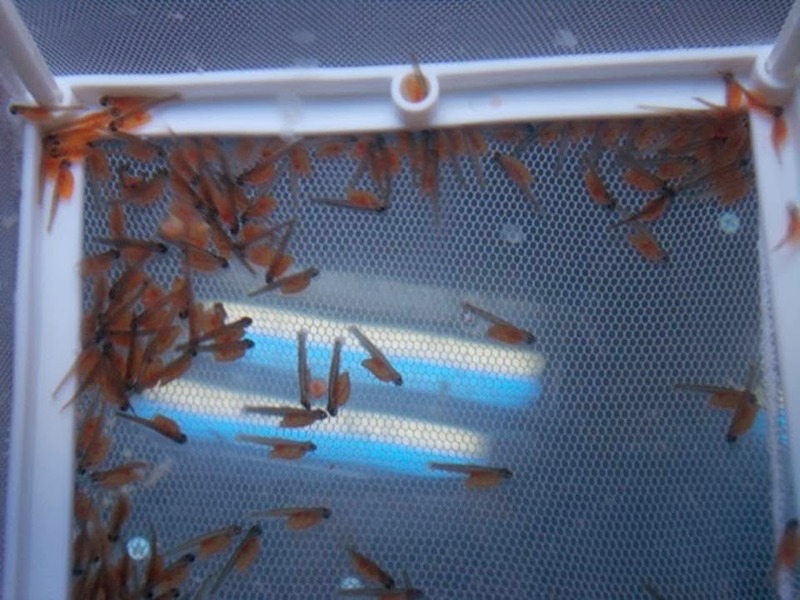 Guest bloggers Bournville Primary School pupils have sent in their latest reports on how their brown trout eggs are coming along as part of our 'Trout and About' project. This week our eggs have developed eyes. This means that the eggs are now turning slowly into alevin. Twice a day we have checked and recorded the temperature of the tank. We have also been checking the tank daily for dead eggs so that we can remove them. So far we have only lost six eggs. If the level water drops too much inside the tank, we have been refilling it using a jug of tap water. The eggs are developing well. We can’t wait until they hatch into alevin! Our egg death count has risen to 31 eggs which is quite common in the wild. It’s okay though because the rest of the eggs have all hatched into little alevin! Two have already swum out of the net. They have nibbled a bit of their egg yolk. They swim on their side and back sometimes. They have been attacking each other! We really hope that they will continue to grow really well into fry. Thank you Bournville pupils, we can't wait to hear all about the next stage of their development.